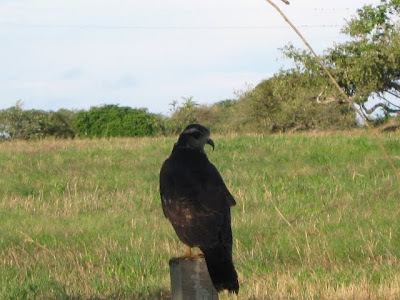 This immature Snail Kite was seen on the road to Playa El Toro. There are 2 or 3 fresh water ponds and streams in the area, and I'm sure that there are many snails, for my trees on the other side of town are full of them. Are tree snails edible? Escargot anyone?